Sassco victorious against the Israelis in London. Four straight wins for the posh version of Sassco. Tiger Tim is a bit of an enigma when it comes to Sassco. He made his debut on the 21st January 2006, and became a regular player. Playing on Saturday mornings and then in the afternoons tends to mean that you have the usual drop outs. Tim was never one, and always turned up. So when we landed in Dusseldorf, 6 years back, we expected his beaming self to be waiting for us. However, it didn't happen. He was missing, we were going to call Interpol, his ex, his mates (the ones he claims he has), but no show! So when you're on Thompson Park in a cold January, you expect a drop out, not when you've landed in the Fatherland. So, fast forward 6 years. Tim has been welcomed back into the fold and took part in a number of tours, including the recent Israel Tour. So when our Israeli hosts were coming to London for a visit, we left it to our London Branch, and Tim as the new Technical Director, to organise it - and he did. 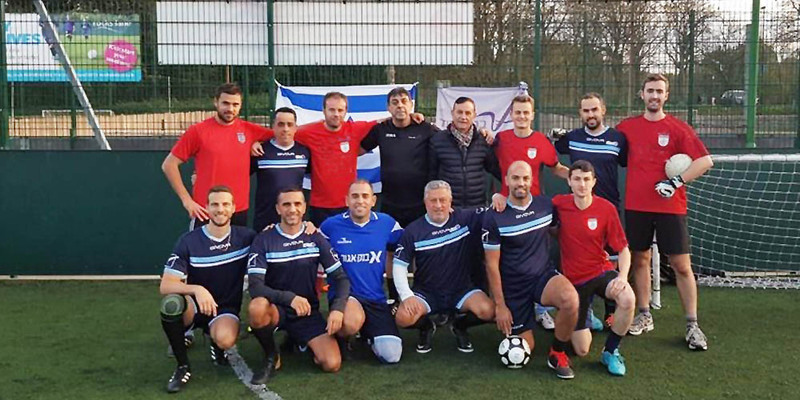 The Israel team, Soccerstars Tel Aviv, who are not used to the hotbed of violence and terrorism which is London, took on Sassco.co.uk and Maccabi GB in a round robin tournament. The FA People's Cup at Goals Sunderland. 5-a-side defeat against Sunderland Deaf AFC. Sassco bow out of the charity tournament. Sassco.co.uk in a charity competition.